eCinemaOne, The Kirkham Report, and Planet BiblioMusica will have daily coverage of the days counting down to the Eurovision Song Contest 2018! Over the next five weeks, sometimes more than once a day, we will bring you daily previews of the contest, spotlighting each of the songs individually in random order, where they come from, who will be performing them, and more, as well as some historical info on the contest and some of the past winners and participants. Next up on our Song-By-Song preview is the official entry from Norway, “That’s How You Write A Song” by Alexander Rybak, also written by Rybak. The song is performed in English. Belarus-born Rybak has been to EuroVision before; in fact, he’s been the Grand Champion before, with his 2009 winner “Fairytales”, considered by many to be one of the best EuroVision winners of all time. I am a huge fan of “Fairytales” and of Rybak in general. But this song, which is inexplicably HUGELY popular with a lot of Eurovision fans, is…um…well…contrived? Yes, that’s the word I want, contrived. 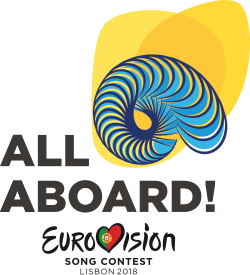 Lyrically, the song seems as though it was designed specifically to sway the EuroVision juries and televoters into voting for it. Even the official video is extremely cloying, if fun – it opens with Rybak reading a letter from a young fan asking his advice on how to write a song (naturally – it IS part of the title, heh heh). He then proceeds to dance around a white set with “ordinary” people playing imaginary instruments (including his trademark violin) and singing his advice on just that subject, even if the advice is fairly generic and possibly even out of context. It’s just too damn cutesy for me – the song, the video, his irrepressible smile – EVERYTHING! The song is going to do well at EuroVision, probably top ten if not top five, but I don’t think it has a second win for Rybak in it’s voting this year; although if it does, he would become only the second performer in history to win the contest twice, following Johnny Logan’s wins for Ireland in 1980 and 1987. And as for the US charts, if I were a programmer, I’d say “forget it”, but you never know what people will like, and since I’m only one of three people I’ve seen so far who really doesn’t care for this song, i could be completely off the mark on that; even my wife says I’m being a curmudgeon about this song. Norway made its EuroVision debut in 1960, and has appeared 56 times since then, missing the contest only twice; in 1970, they boycotted the contest to protest voting procedures, and in 2006, according to Wikipedia, they were ‘relegated’ – not sure what that means. They have won the contest three times, with 1985’s “La det swingle!” by Bobbysocks!, in 1995 with “Nocturne” by Secret Garden, and as mentioned above, in 2009 with “Fairytales” by Alexander Rybak. But they’ve set two lower records as well – I mentioned yesterday that Finland was part of EuroVision’s equivalent of Dancing With The Stars‘ Kenny Mayne Club, having finished dead last ten times, actually receiving “nul” (zero) points for their song entries in 1963, 1965, and 1982. Their fellow nordic neighbor Norway’s track record is even WORSE, getting “Nul” (zero) points FOUR times – in 1963, 1978, 1981, and 1997, a record that was tied in 2015 by Austria. And Norway has finished dead last more times – ELEVEN – than any other country. So they’ve seen both ends of the horse, so to speak…. In case you’re interested, I will post my list of all 43 songs in the order of my favorites at the end of our song by song preview in early May, so keep tuned in!